Travel and tourism industry is one of the largest industries in India and very significant employment generators. According to the UN’s World Tourism Organization (UNWTO), the travel and tourism industry provides 9-11 percent of the world’s total jobs directly and much more indirectly through the multiplier effect. The travel and tourism industry in India is ranked 7th among 184 countries in terms of GDP contribution and the tourism industry in India is set to grow at 9.8% per year during 2015-2025. The travel and tourism market in India estimated at USD 217.7 billion in 2017 is estimated to boom to USD 718.9 billion by the year 2022 and so there is plenty of opportunity for new entrepreneurs starting in the travel and tourism industry as travel agents. In this article, we look at the rules, regulations and taxation issues for starting a travel agency business in India. We have interviewed several founders of successful travel agencies who can give you the advice you need to get started, and I’ve also included plenty of links and resources to help you work through the process of starting your own travel business. In this series, we have approached Guwahati based Leisure Travels & Hospitality Pvt. Ltd's founder CEO Rafiq Ul Islam to know about how to start travel business in India. A summary excerpt is given here for our readers. SGRC: How to Plan a travel agency? Make no mistake: No matter what industry you’re in, a business plan is essential. What kind of travel business do you plan on starting? If you’re interested in being a home-based travel agent, you’ll want to look into finding a host travel agency, where you’ll essentially be an independent contractor. If this is the type of travel business you’d like to start, the business planning process should be fairly straightforward. SGRC: Why do Conduct market research to find a niche? SGRC: Why does it need to a Brand for travel agency? Once you’ve determined what the market looks like and what specific niche you’ll be filling, it’s important to get down to the nitty-gritty of creating a strong brand image. As the travel industry is so competitive, having a well-developed brand will help your business stand out. SGRC: Why does it need legal documents? A travel business is, for the most part, a fairly simple one to set up. Unlike starting a brewery or starting a dispensary, there isn’t a lot of legal red tape when it comes to starting a travel business. Though registration as a Government of India approved Travel Agent is not mandatory, it is beneficial and provides recognition for the travel agent. The aim and objective of the scheme for recognition of Travel Agent / Agency (TA) is to encourage quality standard and service in this tourism industry. 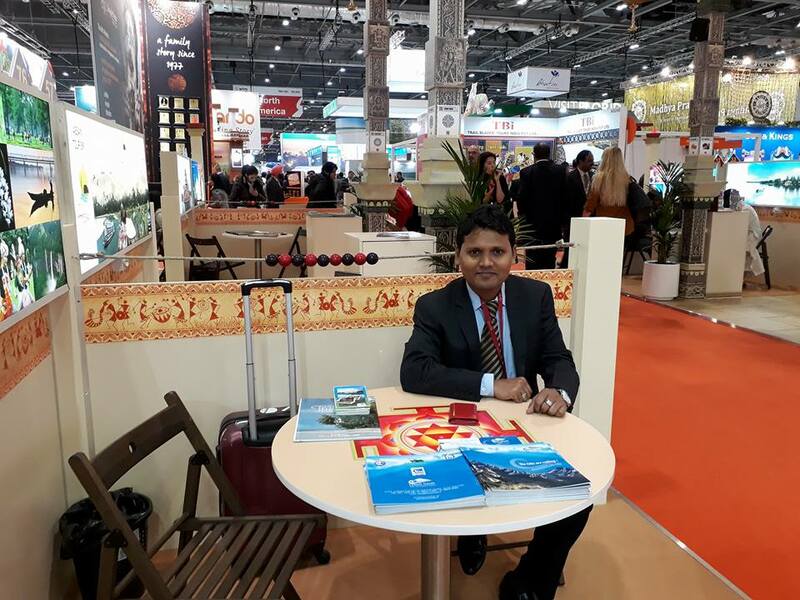 For becoming a Government of India recognized travel agent, the travel agent must satisfy certain requirement on capital invested, a number of staff employed, maintenance of minimum office space and other stipulations. Further, the application must be made to the Ministry of tourism in the required format to become a Government of India approved Travel Agent. SGRC: Why it needs to Determine funding strategy? Luckily, your starting costs should be fairly low: You won’t have expensive equipment to buy, and you probably won’t need extensive space in the beginning but when you want a large scale project then it needs huge fund to complete. Hence, find an investor(s) or find near and dears to invest in your project with clear agreements papers. SGRC: How to Choose a location and hire employees? Next, you’ll want to make a plan for the logistics of opening your travel agency to the public. How many employees will you need to hire? You may not need any to start until you decide to expand your operations. However, be sure to have a plan in place for how you will obtain funding. You’ll need funds for marketing materials at the very least; both online, such as your business website, and offline, such as flyers, posters, business cards, and more. Your initial funding budget will also likely go toward any branding or advertising, and you may also decide to rent office space and hire employees, which is a fairly large expense. Additionally, you’ll want to determine where to set up your business location. While foot traffic will likely not be a primary motivator in choosing a business location, you’ll want to pick somewhere that accommodates your space needs as well as reflects your desired brand image. SGRC: How to Market and launch the travel agency? Marketing will likely be where the majority of your initial funding budget goes, as it’s an important area to focus on when starting a travel business. In fact, it’s a good idea to come up with a marketing plan for your travel agency as soon as possible. However, advertising is the main thing to do well market where Web media, Print media, Electronic visual media are playing vital roles in the market. Especially, social media (Facebook, Twitter, Google+, LinkedIn, Instagram etc ) and web media are carrying the major markets.